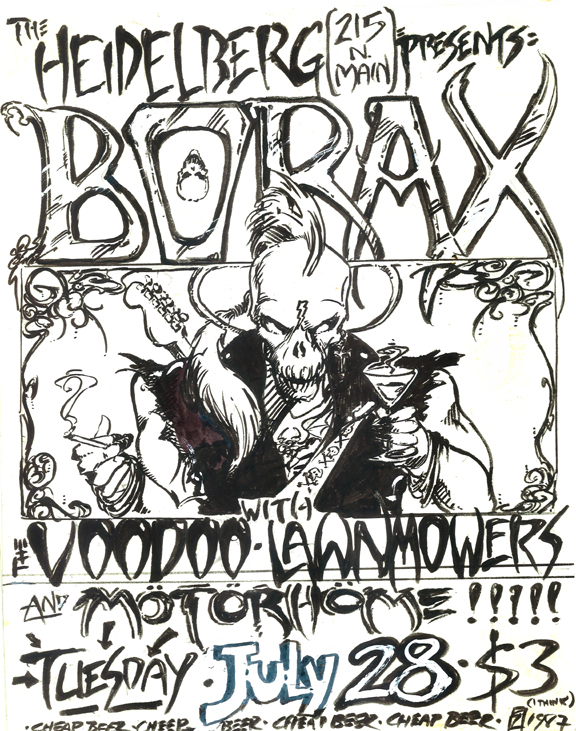 I went again to the vaults, and here’s all the Borax stuff Greg did, dating from 1986-2009. Nobody could draw a punk rock zombie like Greg. I did the inks on a couple of these, the Xmas one, the one with the gun, the one with the cross, but it’s all pure Greg. Please donate to the memorial educational fund for Greg’s 2 beautiful boys. They’re only 5-8 years out from college, and we all know that’s not available for people without money. Go to any Chase Bank, tell them you want to make a deposit to the Magnus and Grey Wilder Peters Fund, routing #065400137. If they need the account number, which they probably don’t, it’s 3011900171. No, you can’t make withdrawals from the account. Nice try, though.